We have two electronic Kids Check-In stations. The first is inside of the parking lot entrance at the back of the school. This is also where families can park. The second is right next to the Little Sparrows entrance. At these electronic stations, register your child. Once you register, you’ll receive a sticker set for both you and your child. These stickers show the child’s name, parent’s name, and phone number. When you come to pick up your child, you’ll hand over the corresponding sticker. Thank you! 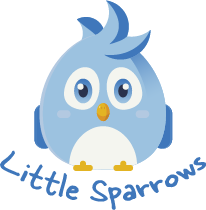 Your child is now registered for Little Sparrows. Next Sunday, head to the Kid’s Check-In station, type in your phone number, and you’ll receive a set of identification stickers.